The cheese tag. A Mrs Helicopter production for all those for whom CHEESE IS LIFE. Hooray! Let’s begin cheese fans!!!!! 1) What is your favourite cheese and why? 2) List your top 3 and describe them. 3) Did you like cheese as a kid? 4) Is there a cheese you don’t like? Why? 5) Any bad experiences with cheese? 6) Do you associate a particular cheese with a specific event? List all! 7) What is your favourite food to accompany your cheese? 8) What is your favourite beverage to accompany your cheese? 9) What is your favourite way to eat cheese as an ingredient? Eg pizza, macaroni cheese, mash. Whatevs. 10) If you could only eat either cheese or chocolate for the rest of your life, which would you choose? 12) Do your children and / or pets like cheese? 13) What’s your favourite cheesy film? 14) What’s your favourite cheesy song? 15) Ultimate test: If you were offered a million pounds in cold, hard cash to give up cheese for the rest of your life, would you do it? That’s it! Get answering and tagging!!!! 1) What is your favourite cheese and why? Toughie. Goat’s cheese chevré. I love the dirtiness of the after taste contrasted with the creamy / crumbly texture. And the rind. It has it all. 2) List your top 3 and describe them. 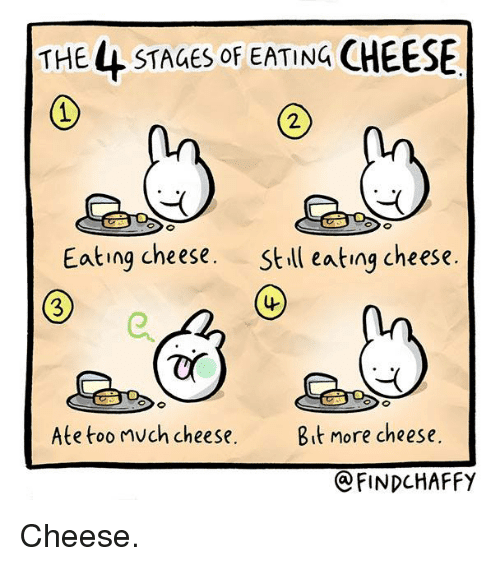 Not including goat’s cheese then: Dolcelatte ….blue cheese, very soft, mild and very creamy; Manchego, dry but creamy; Epoisse, stinky to hell but lush. 3) Did you like cheese as a kid? Yes. Loved it. 4) Is there a cheese you don’t like? No. Well I can think of a rude answer but I'll stick with no. Why? Because I have respect for my readers…. 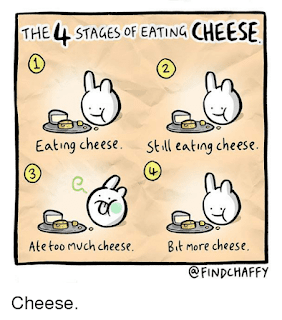 5) Any bad experiences with cheese? I found a piece of sweetcorn in a cheese and mayo sandwich my mum made when I was in primary school and I’ve never been able to have those sandwiches ever again. It’s not as if I don’t like sweetcorn. The unexpectedness of it’s presence has marred me for life. 6) Do you associate a particular cheese with a specific event? List all! But of course! For my wedding day we had a wedding cake made entirely from tiers of different welsh cheeses. Christmas is of course Stilton time but sometimes I’ll order a Vacherin Mont D’or from Madame Fromage. DIVINE, darling! My wedding "cake" of cheeses. 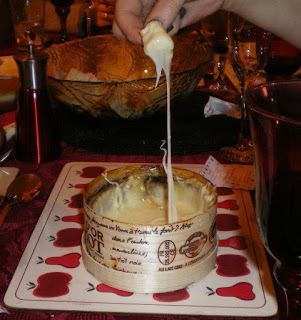 7) What is your favourite food to accompany your cheese? If it’s cheddar then always kalamata olives, oat cakes and sliced fresh beef tomatoes. Any other cheese, oat cakes. Fresh tomato doesn’t always work with stronger cheeses like Camembert. Maybe cucumber? I’m not into fruit and cheese though. Apple at a push. No grapes though, K? 8) What is your favourite beverage to accompany your cheese? Shiraz...but of course. But to be honest, I am happy with no drink. 9) What is your favourite way to eat cheese as an ingredient? Eg pizza, macaroni cheese, mash. Whatevs. Penne Dolcelatte! Yummers! Basically Dolcelatte melted in cream, some shredded sage & black pepper tossed up with penne pasta. 10) If you could only eat either cheese or chocolate for the rest of your life, which would you choose? Cheese. OBVS. 11) Have you ever experienced cheese sweats? (you’ve had too much cheese) Every Christmas and probably many occasions in between. 12) Do your children and / or pets like cheese? Joni isn’t a fan but she’s 3. There’s time. Gus has only just come around to it. And one of my cats loves cheese more than fresh fish. But she doesn’t get more than a tiny nibble very occasionally. It’s not good for her. 13) What’s your favourite cheesy film? OK don’t kill me. Love, Actually. The Emma Thompson story line kills me. And I love Joni Mitchell. And I want that necklace. But as I rule I despise Richard Curtis and all his white-washed, middle class twee films. 14) What’s your favourite cheesy song? Yes Sir, I can Boogie by Baccara. I’m not embarrassed by this. 15) Ultimate test: If you were offered a million pounds in cold, hard cash to give up cheese for the rest of your life, would you do it? HELL to the NO. And I am deadly serious.